Union Jack Badge in red, white and blue. The flag of the United Kingdom in badge form. Also known as the Union Flag, this badge is perfect for all patriotic people from England, Scotland, Wales & Northern Ireland. 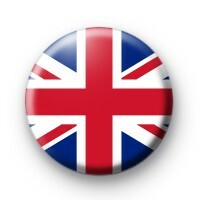 Union Jack button badge handmade in the Great Britain.